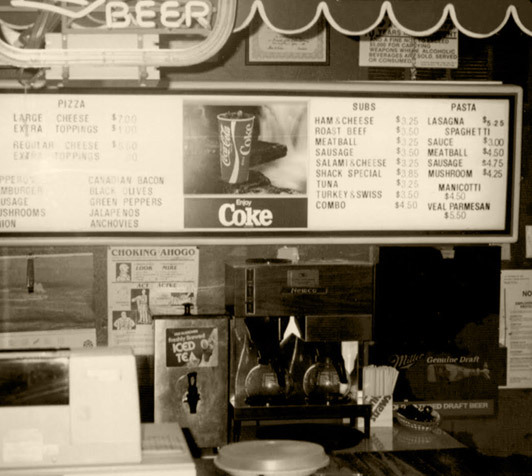 In 1985, John and Claudia Simmons, along with their siblings David, Glen, and Darren Kiely started Pizza Shack in a small house equipped with little more than a KitchenAid mixer and residential oven. Our hope was simply to make good pizza and other staples that we missed from the East Coast. The beginning was not without struggles but our family was determined to make something out of this venture. None of us took a paycheck in the beginning and the days were filled with working other full time jobs and putting in constant effort to continue to improve and grow. We soon recruited another relative, Jim Simmons, a trained chef from the Culinary Institute of America in New York, to perfect other dishes as the menu slowly grew. 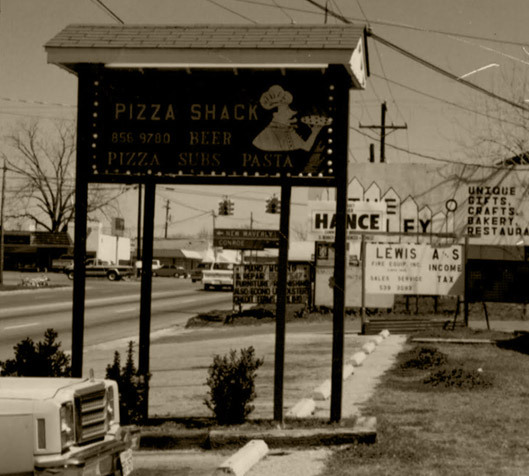 By 1997, we grew enough to build a freestanding restaurant just behind the Pizza Shack’s original location in Willis. 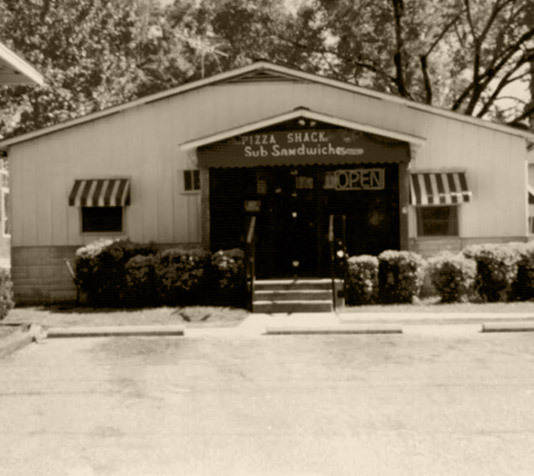 In 2003, our Montgomery location was added along with a full catering division, Danello’s. We are still very much “family owned and operated” with John and Claudia Simmons as owners. You’ll see their son Michael Simmons in both locations as he oversees the restaurants and manages the Montgomery location. David Kiely, one of the original founders, is the Store Manager in our Willis location. We have many family members doing other jobs in the restaurant, from tossing pizzas to serving your table. We take a lot of pride in what we do, and we truly enjoy it. We are delighted to be a part of a community that has welcomed Pizza Shack as their hometown restaurant, and will continue to do whatever we can to make sure our customers and community enjoys all that Pizza Shack has to offer.